Today was Day #9 of Chocolate and Gluten Free Cookie Theme Week. These colorful, round gluten-free cookies came from Chantal Guillon's macaron and tea shop in downtown Palo Alto, in northern California. 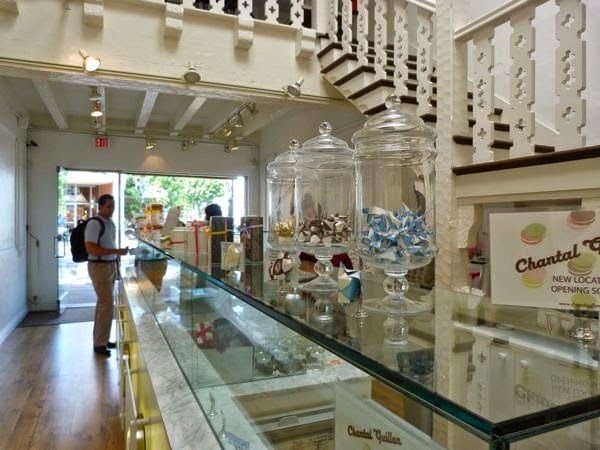 Rows of macarons were displayed in glass cases inside a chic, white interior. 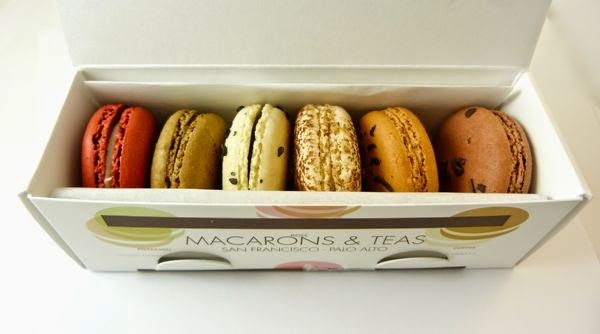 Macarons are airy and sweet, generally gluten-free confection cookies with a creamy filling sandwiched between two rounds. Popular in France and elsewhere in Europe, they've also been easier to find in the U.S. in recent years. 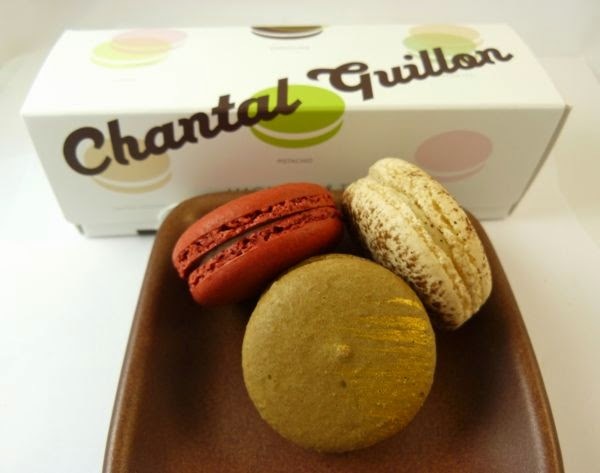 I tried three Chantal Guillon flavors: 1.) Tiramisu (the flavor of the month for September 2014, dusted with cocoa powder); 2.) Salted Caramel (a best seller); and Red Velvet (red and white, with a hint of cocoa powder). Macarons are a bit sweet for everyday consumption, but these cheery (polka dot) confections were well executed and attractively colored; and I did enjoy exploring the different flavors. 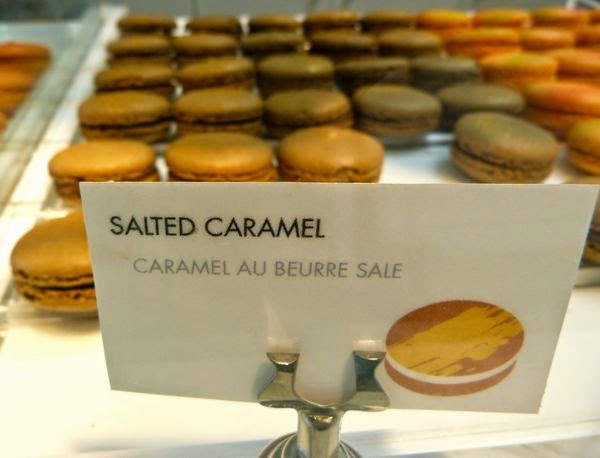 The Salted Caramel was my favorite of the three, followed by the Tiramisu. A bit of salt and butter often helps balance the sweetness. The Tiramisu was lighter in texture and flavor with a hint of mocha flavor which also helped amp down the sugar.